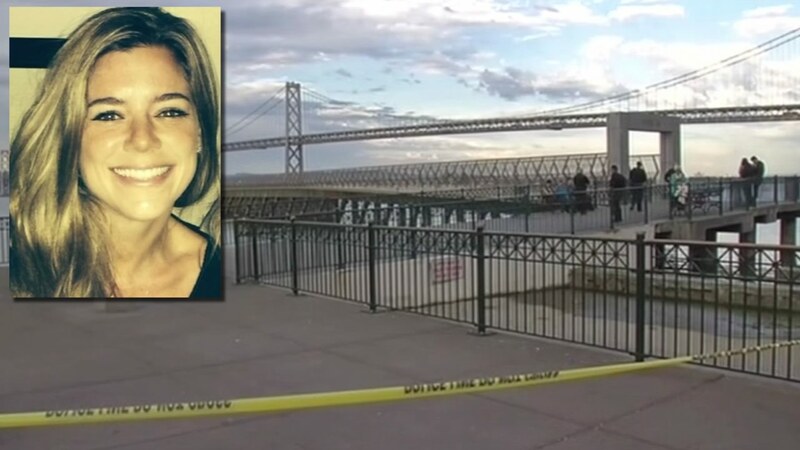 SAN FRANCISCO (KGO) -- The family of a San Francisco woman who was killed in a seemingly random act of violence is mourning her loss as police continue to search for a motive. 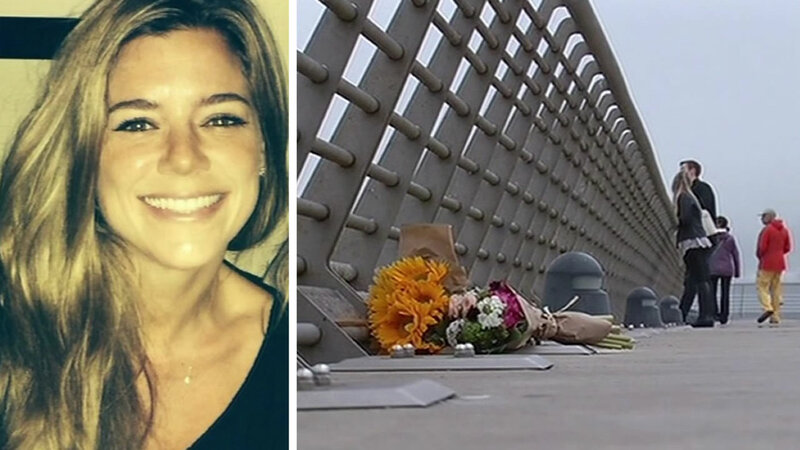 On Thursday, police announced that Texas resident Francisco Sanchez was arrested in connection with the shooting death of 32-year-old Kathryn Steinle, known to friends and family as Kate. The 45-year-old has been formally charged with her murder. Video taken by a person who lived at a nearby apartment building shows bystanders trying to help Kate, who was mortally wounded. Police say the suspect never exchanged words with her before he shot her. "The victim said something to her family members to the extent that she didn't feel well," said Sgt. Mike Andraychak. "Like she realized something had taken place with respect to her and she fell to the ground." A police boat dragging sonar equipment cruised slowly around the pier on Thursday morning, looking for the gun that was used in the shooting. Sources tell ABC7 News that a gun was found in the water. However, ballistics tests will need to be performed to see if the gun was the one used in the shooting at Pier 14. Police believe the suspect tossed the weapon into the waters after the shooting. Kate was fatally shot at around 6:30 p.m. as she strolled the pedestrian pier to take photos with her father. "There does not appear to be any connection between the victim and the suspect," said Andraychak. "At this point, it appears to be a random shooting incident." At the time, there were about a dozen people on the popular pier where thousands walk and jog every day. Police descended on the area after they received numerous 911 calls. Investigators quickly emailed other officers some cell photos taken by witnesses of the suspect. Police found Sanchez about an hour after the shooting, hiding in front of a restaurant on the corner of Embarcadero and Townsend. Bartender Noah Bucoy saw the takedown. He told ABC7 News, "Well, we just saw a guy on the floor and a cop pointing a gun at him, and we're like, 'That's pretty serious.'" Kate lived across the street from where he was arrested. Police say Sanchez is on probation in Texas. ABC7 News sources tell us he's been deported to Mexico several times and that his rap sheet includes aggravated assault. In the meantime, the victim's family is in shock. The victim's brother, Brad Steinle, says his sister loved to make people laugh and smile, and that he'll miss everything about her. "We loved Kate, and I will love her till the day I die," he said. All while trying to find the strength to move on. "I had the best sister," Brad said. "She was the most wonderful, loving, caring person." Kate lived in San Francisco, but grew up in the close-knit town of Pleasanton and graduated from Amador Valley High School in 2001. She eventually made her way to the city, working as a medical device sales representative for Medtronic. On Thursday, her employer released a statement saying: "We are saddened and shocked by this senseless act. Our thoughts and condolences are with Kate's family and friends." Known for her adventurous spirit, Brad says his sister would also go out of her way to make her friends and family laugh. "We always used to go camping in Pine Crest and the last time we went, it was the four of us and my wife and we just sat around roasting marshmallows and we started throwing around marshmallows at each other, and it was the most fun," he said. Wednesday was supposed to be fun for Kate and her family. She met her father on Pier 14 that night. He was there to take her to Pleasanton, to learn if her brother and his wife were expecting a boy or girl. But tragedy struck instead. "She won't get to meet my daughter," said a tearful Brad. And as this family searches for answers, there's a new commitment to always keep Kate's memory alive. "Cherish the people in your life, and who you love, and tell them you love them, cause I'll never get to tell my sister that I love her again," said Brad. Thursday evening, flowers were left on Pier 14 to honor and remember Kate. Friends say she was a true original. "She was amazing. She was a very compassionate person, her smile was infectious," Kate's friend Heather Childress said. They said Kate was the kind of friend who was always there. When friends organized a charity bike ride for MS, Kate threw a fundraising dinner to help without being asked. Despite the arrest, police are continuing their investigation. Anyone with information is encouraged to contact the SFPD Anonymous Tip Line at (415) 575-4444, or text a tip to TIP411 with SFPD at the beginning of the message. The suspect in the Pier shooting has a rap sheet which includes aggravated assault. unclear if that was from Texas or here, says source. Numerous witnesses identified him last night in a police cold show as the man who left the Pier quickly after the shooting. ABC7news has learned that the suspect in the fatal shooting at Pier 14 was deported to Mexico several times and is on probation from Texas. PIER 14 Shooting: Victim's family thanks good Samaritans and police for their assistance; SFPD says still on-going investigation.